Healthy Alfredo Sauce Recipe - only 130 calories per serving! This Healthy Alfredo Sauce is a significantly lightened up version of a classic (helloooo only 130 calories per serving). Made with skim milk, broth, greek yogurt, and parmesan, this alfredo sauce will surely impress without the guilt! If you love this lightened up classic, you might also like: air fryer chicken nuggets, ground turkey fried rice, healthy turkey pot pie soup, skinny broccoli cheese soup, vegan mushroom stroganoff. Is Alfredo good for you? Healthy Alfredo Sauce. Sounds like an oxymoron, yes? But it’s not. THIS alfredo sauce is, in fact, healthy! It’s also super yummy, super easy, and super tasty on things like whole wheat pasta and pizza (recipe coming Wednesday!). Honestly, I’ve never been a huge fan of alfredo. Growing up, per my request I’m sure, my family and I would go to the Olive Garden for dinner. I would always order their Zuppa Toscana ♡, my brother, on the other hand, would always, always, always order their fettuccine alfredo. At one point, I actually think he found a “copy cat” recipe and made it at home. That being said, for whatever reason, I had a huge craving for some c.r.e.a.m.y. and delicious fettuccine alfredo the other day. What I didn’t want, was a heavy cream, cream cheese filled sauce that would make me feel too full and weigh me down. Instead of heavy cream, today, we’re using a combination of broth (for flavor), skim milk (for consistency), and non fat plain greek yogurt (for extra creaminess). This combination allows us to create a SUPER creamy sauce with just a fraction of the calories. I mean. There’s a time and place for the full fat, heavy cream alfredo sauce, because it IS delicious, but spring is literally right around the corner, so something light was a must. This Healthy Alfredo Sauce is lightened up with skim milk and your choice of broth (chicken or veggie for flava), but is kept creamy with the help of non fat plain greek yogurt, and just a teeny tiny touch of parmesan cheese. The weather around here – Wisconsin – is seriously messing with me. One day it’s 55 and sunny and literally the next day it’s below freezing and snowing. I really don’t mind the winter weather for the most part, mainly because there is nothing cuter than watching Teddy romp around in the snow. I’m ready for some consistency and I’m ready for cute dress, flip flop weather. Anyone with me? This Healthy Alfredo Sauce is the p.e.r.f.e.c.t. combination. It’s still warm and cozy, but it’s totally light. Did I mention it’s easy, too?! It’s actually so much easier than I thought it was going to be. Heat olive oil in a large saucepan over medium heat. Once hot, stir in cornstarch. This will help the alfredo sauce thicken. Now whisk in broth and milk. Bring to a simmer, remove from heat, stir in greek yogurt, parmesan, and seasonings and you.are.done! Now. Lemme just say. This is NOT as thick and creamy as your typical alfredo sauce, but that’s to be expected! We’re not using butter, heavy cream, or cream cheese. But I promise you, you’ll love it just as much. Although it’s not as thick and creamy, this Healthy Alfredo Sauce is still plenty thick and creamy, packed with flavor, and is amazing over whole wheat fettuccine. And don’t forget. It’s great on pizza, too… come back Wednesday for the recipe! In the meantime, eat this with noodles and be oh so happy. What are your favorite dishes that you would like to see lightened up? Show me the yummy! This Healthy Alfredo Sauce is a lightened up version of a classic (helloooo only 130 calories per serving). Made with greek yogurt, skim milk, and parmesan! 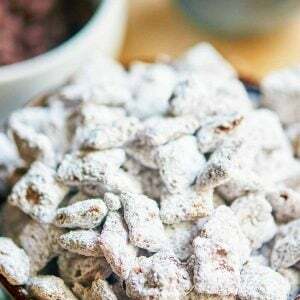 Sprinkle with cornstarch and cook for one minute, stirring constantly. While whisking, slowly add in broth and milk. Continue whisking to combine until smooth. Raise heat to medium high and bring the mixture to a simmer. Once simmering, simmer for about 2 minutes, until it starts to thickened, again, whisking constantly. Remove from heat and little by little, whisk in greek yogurt. Once combined, place back on the heat (medium) and stir in Parmesan cheese, salt, pepper, and garlic powder. Bring to a simmer and simmer for an additional 2 minutes, whisking constantly. Serve over pasta* immediately or let cool completely (so it can thicken) and serve as a pizza sauce and enjoy! If not using immediately, store in airtight container in fridge. Nutritional information is for 1/4th of the entire sauce recipe. *This makes enough sauce for about 1/2 - 1 pound of pasta depending on how saucy you like your pasta! OMG this on pizza will be Ah-mazing! eat it due to calorie count! Thanks so much for the recipe. Rated it due to contents and low calorie count. Thanks again! This looks delicious and love the fact that it’s healthy. Can’t wait to try. Looks AMAZING! We’re gonna have to try!!! I made this last night and absolutely loved it! Mine came out a bit thicker than I had expected… I may cut down on the cornstarch next time or add a touch more broth. I added a touch of crushed chili pepper, which gave it a nice zing. I’m looking forward to trying this with zucchini noodles as an even lighter! Thanks! Hi there! Thank you so much for making the recipe 🙂 I’m so happy you loved it and helloooo you’re genius for adding chili pepper, we LOVE spicy. I also love the idea of trying this with zoodles. 🙂 Cooking the sauce a little less should also help keep the sauce a bit thinner. I just tried the fettuccini Alfredo and was amazed by the flavor! I added sautayed organic onions and mushrooms, and crumbled turkey bacon, yummy!!! Thank you so much for making my favorite dish a better one. I tried this with just a few tweaks and it was WONDERFUL ! I used cashew/almond milk because that’s what was in my fridge and I added leftover shredded chicken. Even with the Cashew milk substitution and the added chicken, this was still a healthy low fat, dish. Thank you so much. I have been wanting to make a healthy version of Alfredo Sauce. Hi Nancy! Yay! So glad to hear it 🙂 I’m OBSESSED with cashew milk, so I’ll have to give that a try. Thanks! This is totally delicious! I replaced the starch with arrow root and the greek yoghurt with sheep yoghurt, a bit more generous with the parmesan, added a punch of nutmeg and a pinch of chipotle pepper powder for a bit of punch. worked great with quinoa/rice fusilli and sautéed mushrooms & chopped up flat parsley. Super light and yet totally comfort food delicious! LOVE cashew milk!!! Have you ever tried making your own Cashew Nut Butter? You’d probably love it! I just made this recipe and it was so good! If I have some left over, could I possibly freeze it, maybe in a glass jar? This sauce is sooooo good! Thank you! Some little changes I made to make it even healthier are 1) I split the amounts of milk in half: half unsweetened almond milk, and half 1% milk, which is what I had in my fridge. 2) I did equal parts of swiss cheese and parmesean cheese to take off a little salt from the recipe. The end result was spectacular! Thanks again! 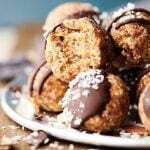 Just made this amazing recipe and love it! 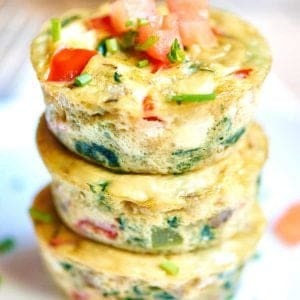 I’m always looking for a healthy alternatives to my favorite foods and this is definitely something I’ll be making it again. Thank you! Aww thank you so much Alicia!!! That’s so nice of you to let me know 🙂 Really happy you loved this! Just made this tonight and it was fantastic!!! This recipe is great! Made it last night, tossed it with penne pasta, shrimp, cherry tomatoes, and green pepper – so good!!! Thanks for sharing, we will definitely make this again! He sauce is delicious! I was able to make it with what I had on hand. Even with dry sprinkled parmasean cheese it’s creamy and cheesy! I’m not a big alfredo fan but will make this again. I did add some spinach and tomatos to the pasta because I like vegetables in everything. Thank you gor the wonderful recipe! 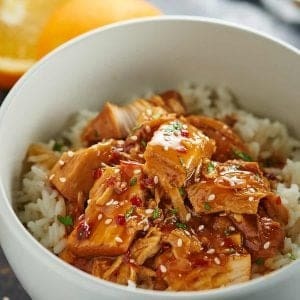 Love this recipe, it’s one my Mom can eat, as she has pancreatitis, but can you tell me the fat content or how I can figure it out? I want to use this recipe instead of the jar the next time I make Slow cooker Cajun Alfredo Pasta. The jar was too creamy. I searched “healthy alfredo sauce” and found your recipe. Hope you love it, Alan! I am going to make it a second time. I am going to use it with Banza Pasta. Wahoo! Thanks so much Alan! How much parm are you using for this calorie count? I can’t see anywhere it’s mentioned. I was thinking that if there’s anybody here that finds the use of Greek yogurt makes the sauce a bit tangy for an alfredo sauce then if you want it a little less tangy I’m thinking that perhaps fat-free cottage cheese or fat-free ricotta cheese could be used in place of the Greek yogurt. I haven’t tried this recipe yet either in its original form or my theorized modifications so not sure if that would do the trick in place of the Greek yogurt but it might. Also for those of us that REALLY REALLY love garlic (love it so much that our breath can regularly slay vampires LOL) then you can use garlic-infused EVOO on top of the garlic powder called for in the recipe. 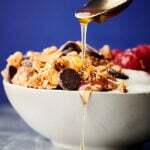 Can you give me the nutrition information for this recipe? Tried this tonight with my homemade butternut squash ravs and LOVED it. I was surprised how much sauce it made. But I’ll just use the leftovers for a broccoli cheese side tomorrow. 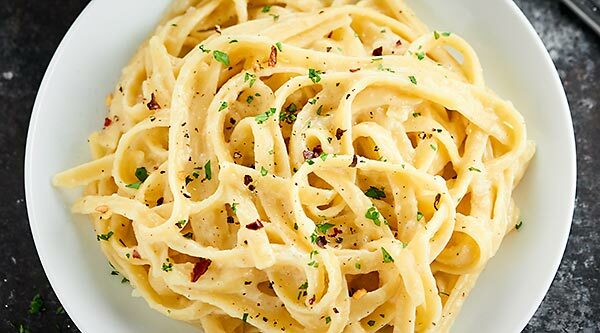 This alfredo sauce is amazing. I don’t normally write reviews, but it’s that good I just had to. Aww yay!!! Thank you so much! I was looking for sodium content. Do you happen to know what that would be? I don’t, I’m sorry! You can use this nutritional calculator though: http://www.myfitnesspal.com/recipe/calculator 🙂 You can use it for any recipe you find! I also wanted to share that I added mushrooms, kale, garlic, and shallots! So good, this is my new base recipe for “alfredo” meals. I just made this tonight, and was so pleasantly surprised at how good it was. Will definitely make this again. I wanted a light pasta dish for this heat, but had a cheesy craving. Worked great for a huge pan of pasta, kale and tomatoe’s. I am trying to lower the sodium content. Does your recipe use low sodium broth? I’m looking at nutrient content and would like to isecthat as a jumping off point for that one modification. 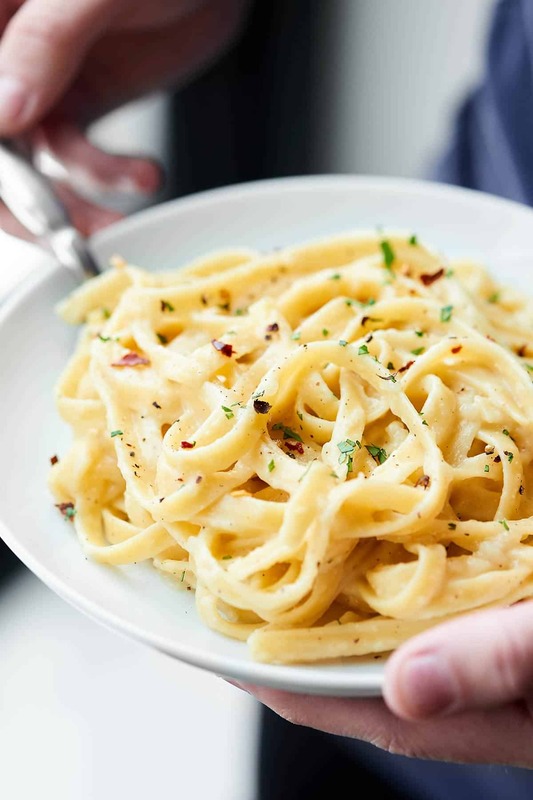 I was looking for a healthier alternative to Alfredo sauce online and found this recipe and I’m so glad I did! I am a HUGE Alfredo fan, if I have a cheat meal it’ll probably be that or pizza. I wanted to be able to enjoy chicken Alfredo more frequently and now I can!! This sauce is pretty dang great without the creams and butter! The yogurt actually works well with the recipe. I was very satisfied with the flavor of this sauce! I used whole wheat rotini and added yellow squash and zucchini which really helped curve those cravings and I felt no guilt for eating it. That’s awesome, Heather! SO happy you loved this 🙂 Thank you!! Aww yay!!! Thank you so much Sue! The crowd loved it. Made Prima Vera with it over penne. Made this last night. It was delicious. I replaced the salt with Mrs Dash for a little extra zing. Will be making this again very soon! Hi , we love the lite Alfredo . I was wondering how to make it a seafood – Prima Vera recipe. Love this recipe!! No complaints at the dinner table! !